Unfortunately we have very sad news to give you. Emeritus Professor Shigenobu Nagataki (1932 ~ 2016) passed away on November 12th, 2016. 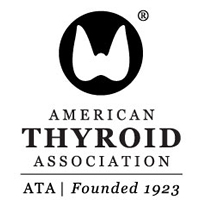 As one of founders of Asia & Oceania Thyroid Association, he had been actively involved not only in AOTA meetings but also in several ITC meetings. He had been a leader in the field of thyroidology not only in Japan, but also in whole Asian region. He had been a member American Endocrine Society (emeritus), American Thyroid Association (honorary), American Diabetes Association, American Society Nuclear Medicine, Asia and Oceania Thyroid Association (president since 1985, honorary president since 2000), European Thyroid Association, European Association Study Diabetes, European Association Nuclear Medicine, Japanese Society Internal Medicine (honorary), Japanese Society Endocrinology (honorary), Japanese Society Thyroidology (honorary), Japanese Society Diabetes (honorary), Japanese Society Nuclear Medicine (honorary), Japanese Society Rheumatology (honorary), Japanese Society Clinical Immunology (honorary). He dedicated his whole life to research for thyroid disease, metabolic diseases and radiation health effects. It is a very sad moment for all of us. May him rest in peace in Heaven..